For centuries, hops has been the primary herb in beermaking, thanks to a 1516 German beer law that restricted the official ingredient list to hops, barley, and water. But in the Middle Ages, brewers looked to many different herbs to flavor their beer: yarrow, elder, comfrey, and more. 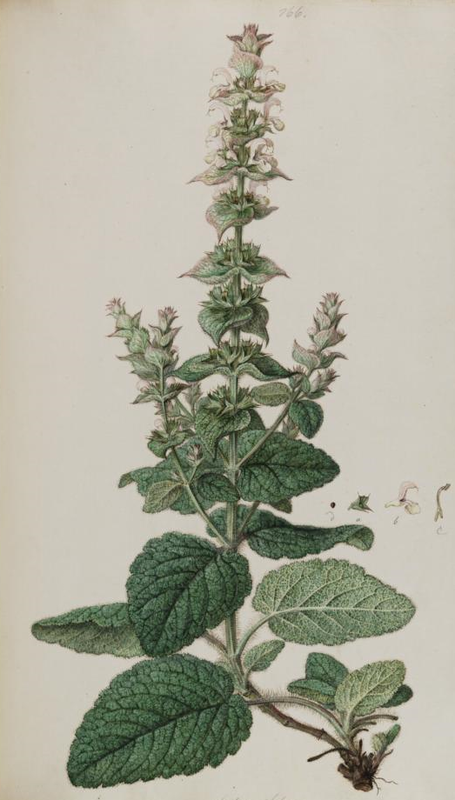 One particularly popular brew was clary sage beer. Hops flowers give beer a clean, bitter finish, but they also have a sedating quality that makes the drinker happy and sleepy. Clary sage raises the sedation level even higher. Just in a simple tea, clary sage is a calming and euphoria-inducing herb, but the effect is said to increase considerably when steeped in beer. Seventeenth-century Flemish botanist Matthias de l’Obel called clary ale a drink “fit to please drunkards” because of its heavily sedating effect. Clary sage was a beloved herb in ancient Europe, not only for flavoring beer, but for food and medicines, too. Yet sometime in the Renaissance, the herb fell out of fashion. 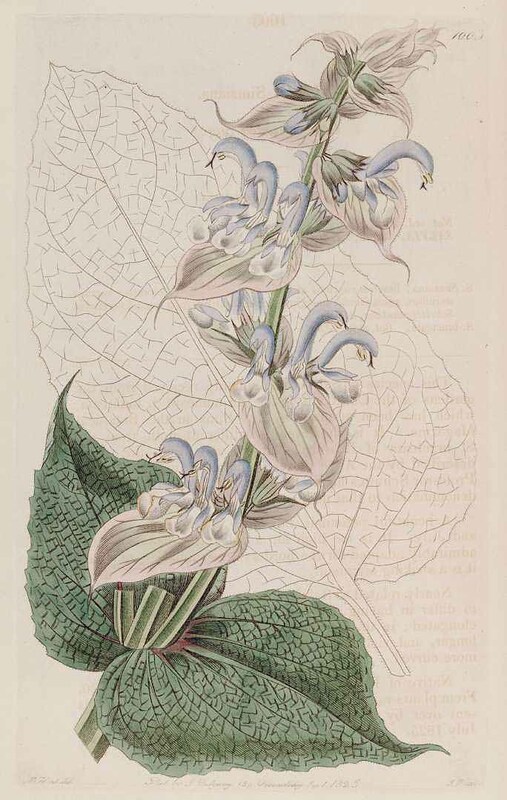 According to early 20th-century herbal author Maude Grieve, clary sage went largely forgotten until the late 19th century, when French perfume makers began using it as a fixative and fragrance. Perhaps that’s why clary sage is most commonly found today as an essential oil. Although they share the same name, clary sage (Salvia sclarea) doesn’t look anything like its close cousin, culinary sage (Salvia officinalis). The clary sage plant has big heart-shaped leaves and lush flower stalks that can grow up to five feet tall. For an herb known to produce an ultra-intoxicating beer, its name suggests just the opposite: clarity. The name “clary” means “clear eye.” In European folk medicine, clary sage was used not only to remove dust and other debris from the physical eyes, but was also used to provide clarity to the mind’s eye. The dried leaf served as an incense to clear the mind, make dreams more vivid, and even see into the future. In terms of medicine, clary sage helps primarily in relaxation. It is used to relieve insomnia, anxiety, and depression. Studies show that merely sniffing clary sage essential oil significantly reduces cortisol levels, and in some cases even balances thyroid hormones. It also helps lower blood pressure by relaxing blood vessels. Today, clary sage is the number one essential oil used to treat female hormonal problems. The essential oil contains an estrogen-like compound called sclareol, which works especially well in treating estrogen-deficient imbalances, such as menopause, hot flashes, and delayed or heavy menstruation. 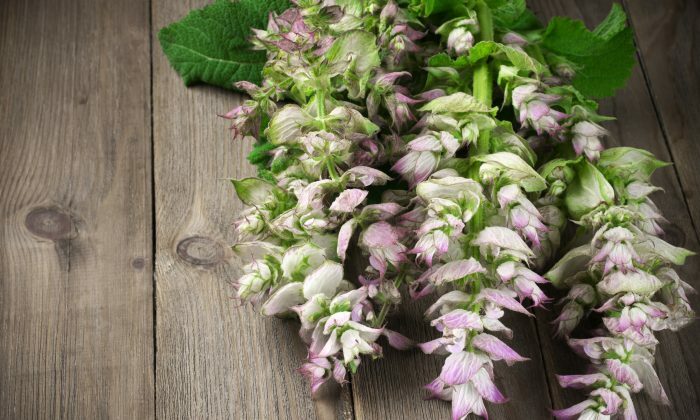 Clary sage’s relaxing nature also helps relieve menstrual cramps. The part of the clary sage plant that was used for centuries to clear debris out of the eye is the seed. When the seeds are soaked, they make a gooey paste that can be spread over the eyes to draw out debris. It was also spread on other parts of the body to pull out thorns and splinters, and to soothe topical inflammation, such as mouth sores, boils, and wounds. Researchers in Israel recently discovered that clary sage seeds are high in omega-3 fatty acids. The cold pressed seeds produce an oil (a fat, not an essential oil) that is found to be much more resistant to rancidity than other omega-3 rich fats, such as those found in flax or chia seeds, which oxidize quickly. Unless you grow your own, clary sage is almost exclusively available as an essential oil. Simply sniff the bittersweet fragrance to ease premenstrual complaints and calm a worried mind. Or mix with a carrier oil (olive, almond, or coconut) and apply topically for pain and inflammation. If you can get hold of some leaves, make a tea for digestive issues, cramps, headaches, or simply relaxing and pondering what the future may hold. It’s a very safe herb, but one you may want to avoid if suffering from estrogen-dominant cancers.